Vladimir Gruzdev was born in 1951 in St. Petersburg (Leningrad). 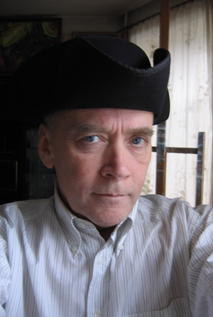 Upon graduation from Leningrad Aircraft Instrumentation College in 1974 he obtained a degree in electronic engineering. In following years scientific work has been his main occupation while painting was more of a hobby. 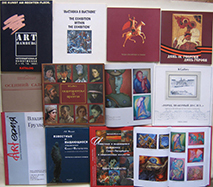 Participation in underground art exhibitions held at people's apartments was the only outlet for independent artists back in those days as socialist realism was dominant and the only permitted form of art in USSR. 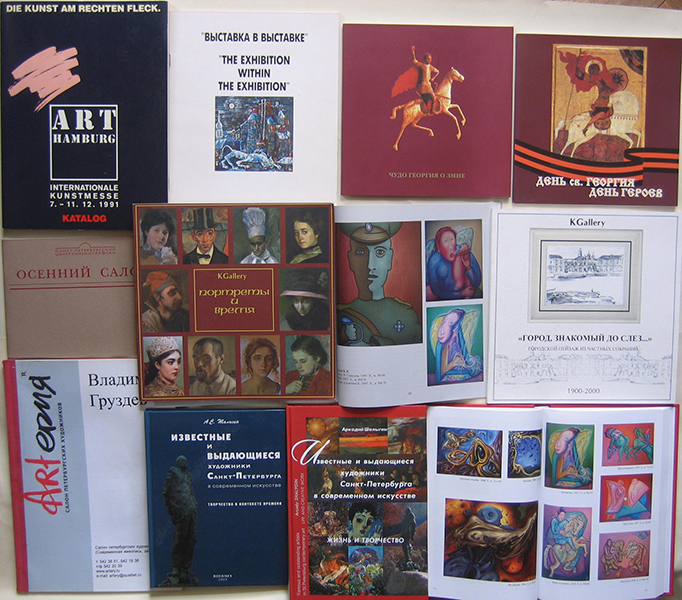 In 1989 along with Perestroyka Vladimir felt strength to quit the job to become a full-time artist. 1995 - Vladimir Gruzdev gave lectures in the University of South Florida (USF) with Peter Tush, the curator of Salvador Dali Museum. 1997 – V. Gruzdev conducted the workshop with leading American transpersonal psychologists from Saybrook Institute, USA (Stanley Krippner and others). 2000 – V. Gruzdev is a laureate of competition of projects for EXPO-2000 exhibition in Hannover, Germany, (Kinetic Installation). 2001 – V. Gruzdev contributed to popular TV series "Metaphysics of St. Petersburg". 2003 – V. Gruzdev wrote a book on problems of visual perception presenting original theory of colour. 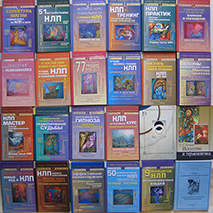 2003, 2004 - A part of theory of colour dedicated to colour transcription of I-Ching, Chinese "Book of changes" was presented to scientific and artistic community at Sixth and Seventh International Congresses in Philosophy and Culture UNESCO, Russin Academy of Science, Saint-Petersburg. 2007 – V. Gruzdev founded newspaper gallery "Chance-Gallery". 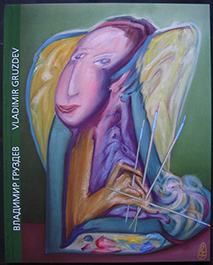 2008 - At Seventh International Conference of Transpersonal Psychology V. Gruzdev conducted a workshop entitled "The Art of Painting as Psychotechnology". 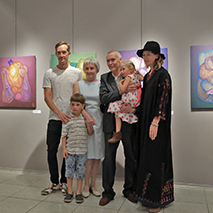 Vladimir's artworks can be found in The State Museum of History of St. Petersburg, in galleries and private collections around the world. 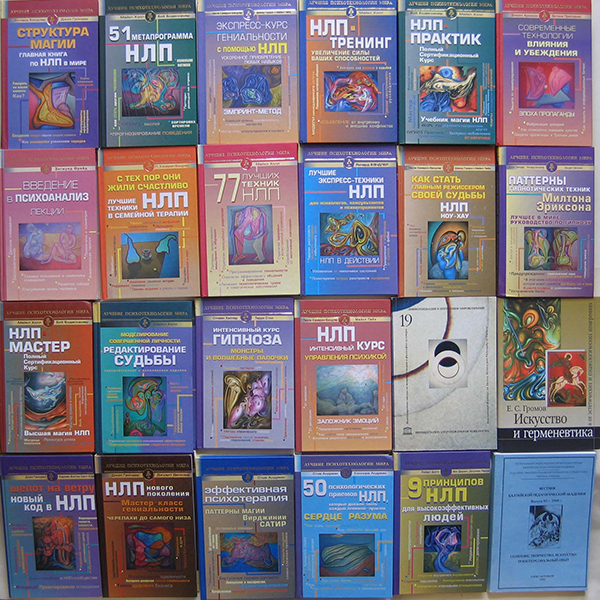 His paintings illustrate 21 books of "The Best Psychotechnologies of the World" series published by "Prime Evroznak" and "AST" (2006 – 2008). 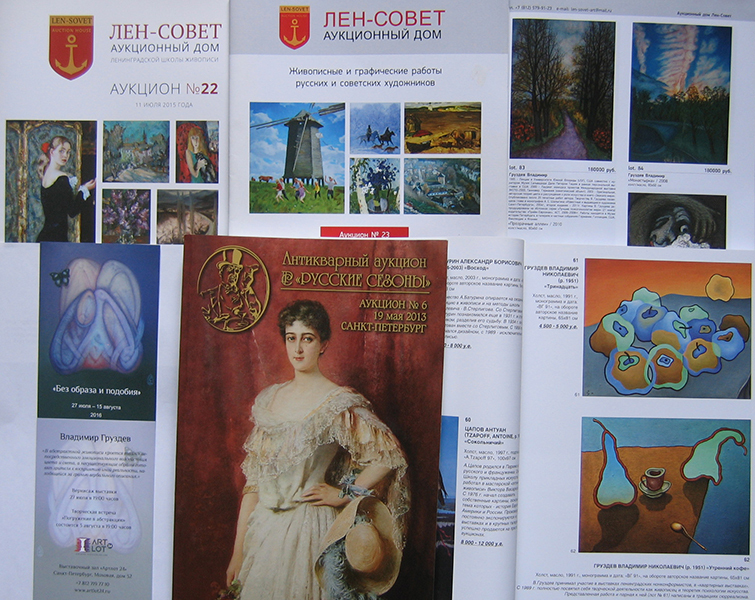 A. S. Shaligin dedicated a chapter to Vladimir Gruzdev in his book "The Famous artists of St. Petersburg" (2004, 2011 – The second eddition). 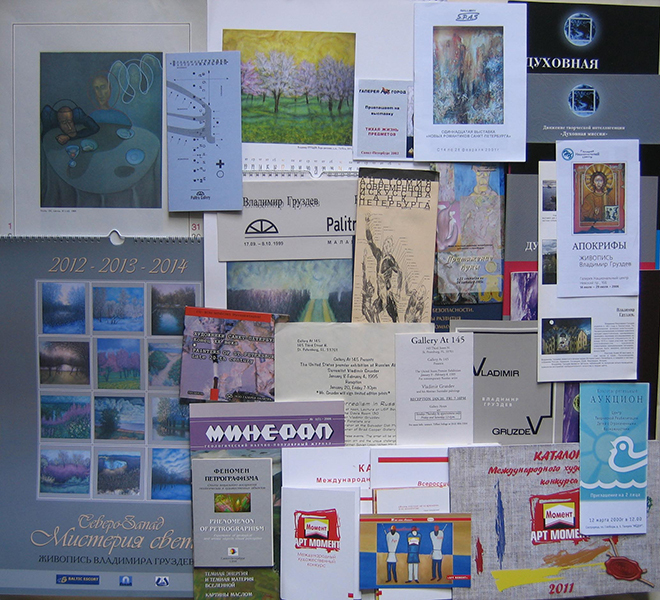 1999 June – "Music of Colours, Commercial Banks Association, St. Petersburg, Russia. 1997 September – "Another Reality", Fyodor Dostoyevsky Museum, St. Petersburg, Russia. 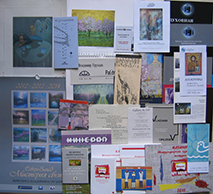 1995 January – "Abstract Surrealism", "At 145" Gallery, St. Petersburg, Florida, USA.